As I have said in past reviews, Culture Fly has some pretty cool boxes from some of the most popular shows and TV networks out there. One of these boxes is based on Game of Thrones and I must say there was some pretty nice stuff in this box. 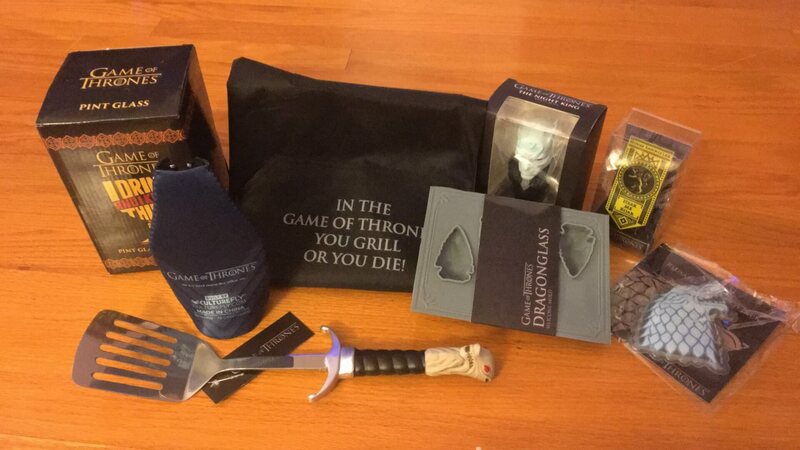 If you subscribe you are signing up for a box filled with fully-licensed items created exclusively for the Game of Thrones box. Cost: $49.99/quarterly (plus S & H) – Pay annually and get it for $45.99 per box. So, who is ready for your next BBQ? 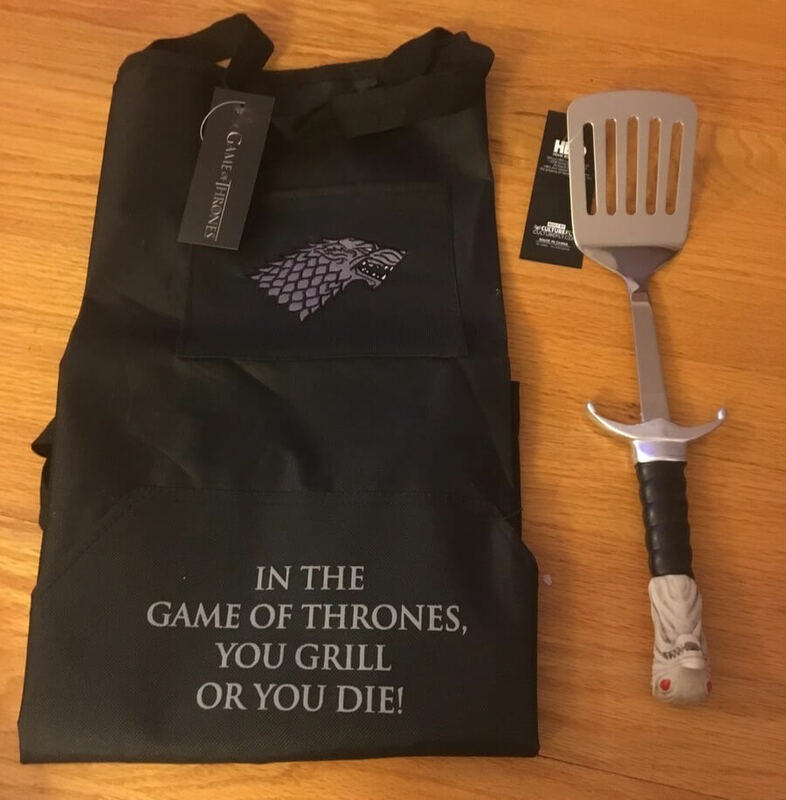 This Game of Thrones House Stark Apron and Longclaw Stainless Steel Spatula will definitely be a part of the conversation as you are flipping burgers! 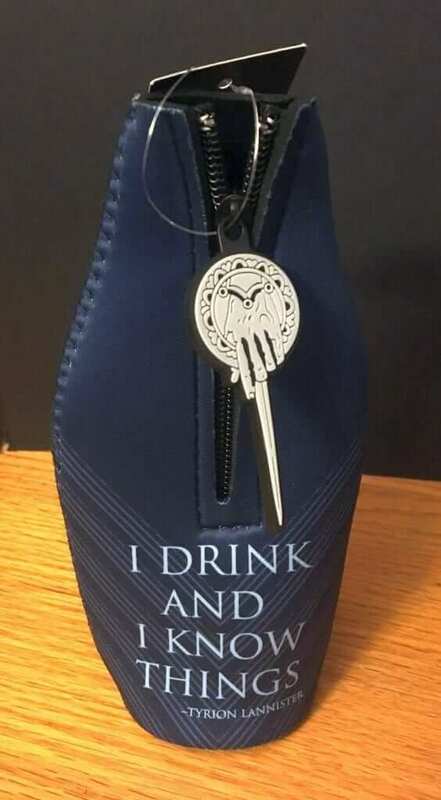 You can keep your favorite bottled beverage cool in this Hand of the Queen Bottle Koozie. 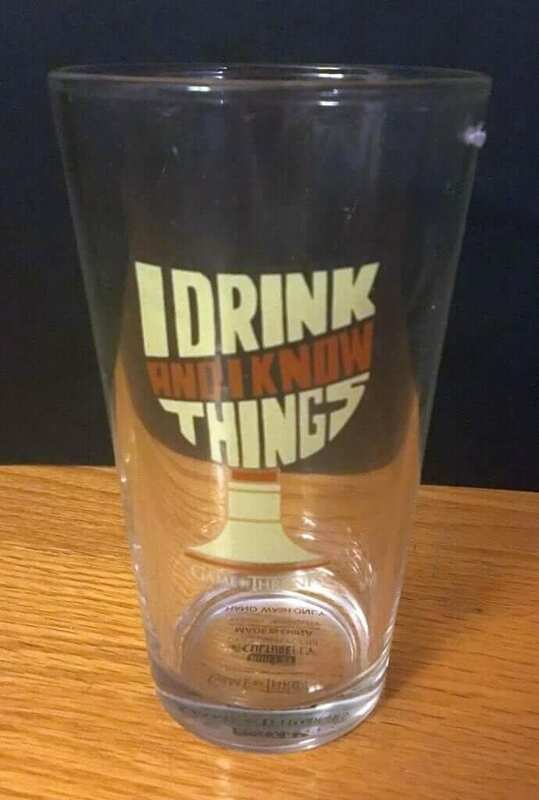 The quote, “I drink and I know Things” is one of Tyrion’s favorite. Maybe you prefer a pint glass? That’s okay, they have one of those in this box too with the same quote on it. 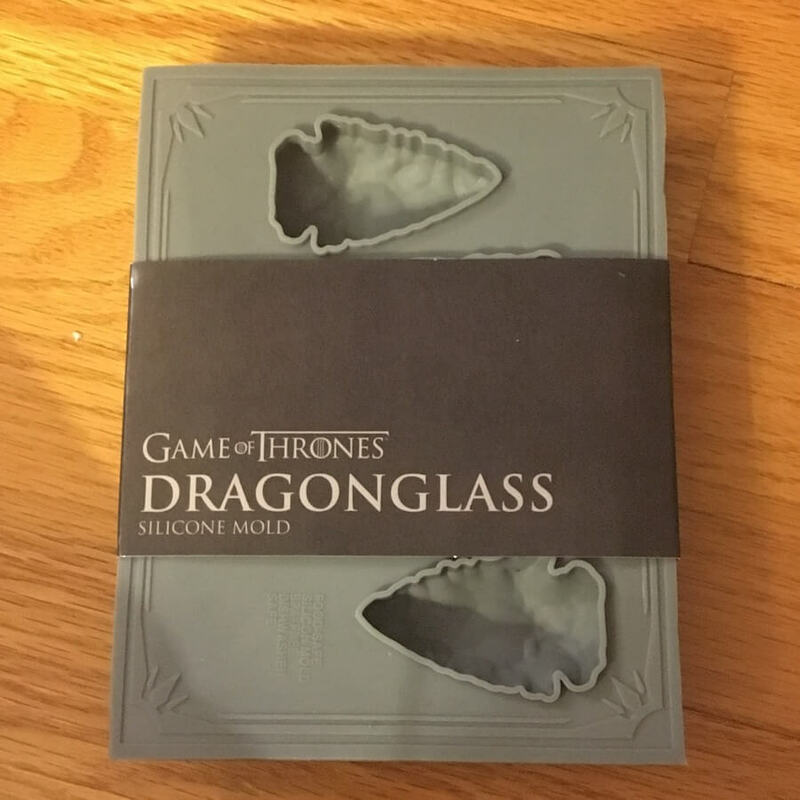 And you can have Dragonglass ice cubes in your drink with this ice mold. 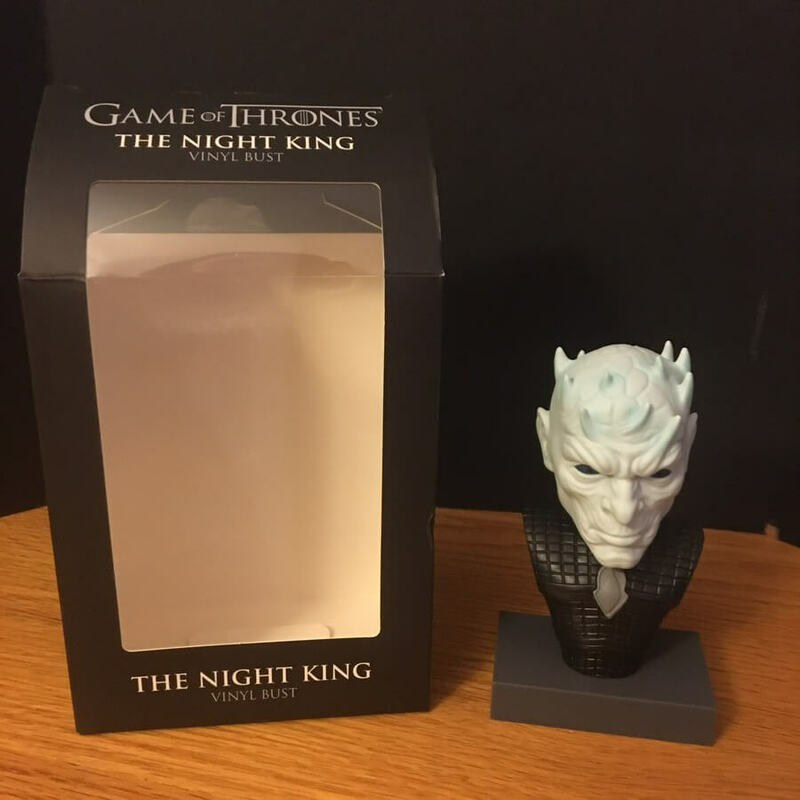 The Night King Vinyl Bust was also included in the box. 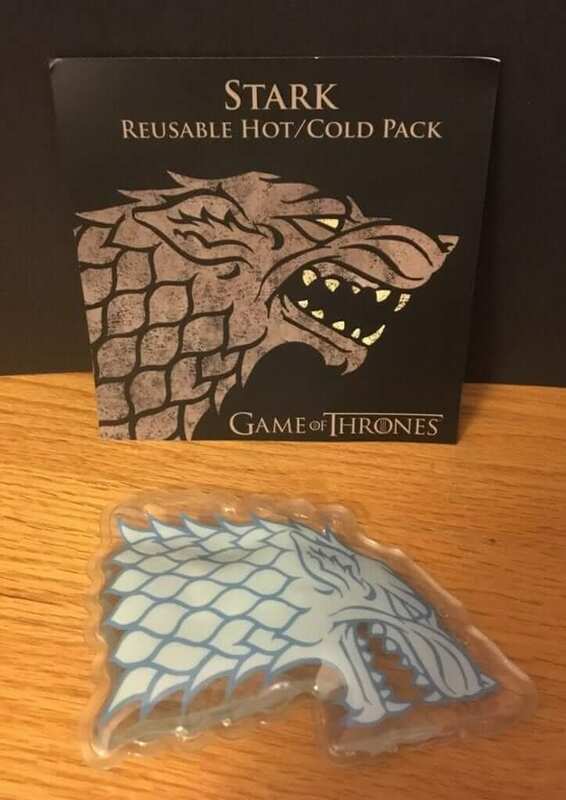 This House Stark Hot/Cold Pack would definitely be handy to have around whether you have cold hands or a bump on the head. 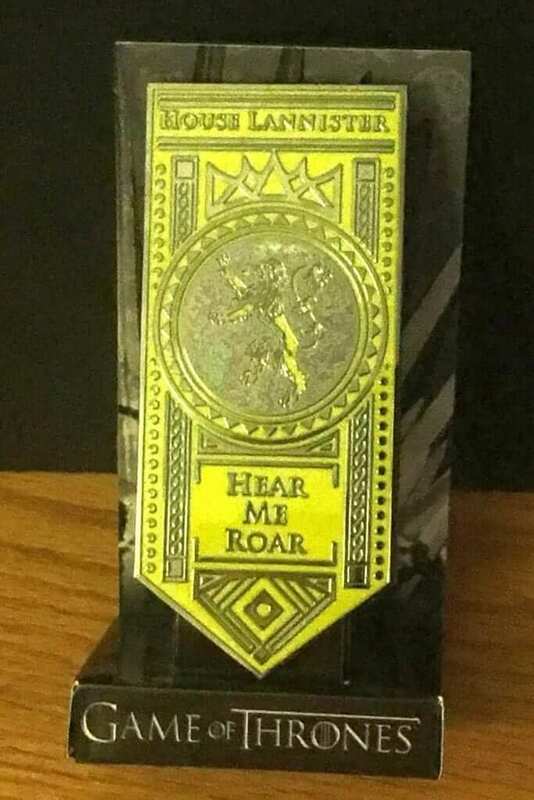 This box came with a House Lannister Enamel Pin that is huge! It’s definitely not something you would want to wear (at least I don’t think so). So, you are ready for the BBQ and have a few extra items as well. I thought this box came with some really nice items such as the steel spatula. If you like Game of Thrones and like what you see here, you should head over to their website and sign up. They are still taking orders for this box right now but it might not be for much longer.